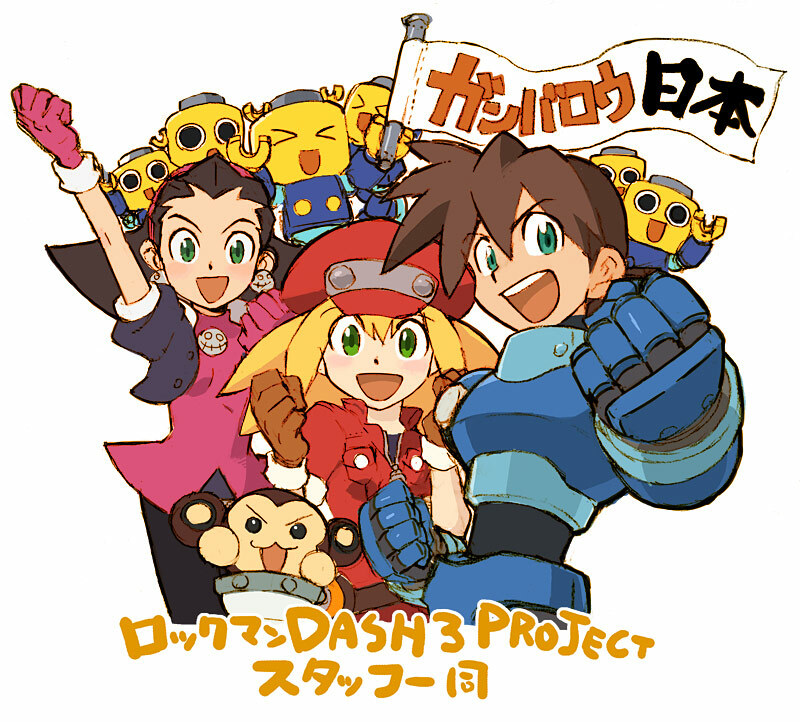 Rockman Corner: Rockman DASH 3 Devroom Returns! There's no doubt in my mind that this game is getting greenlit. Fantastic!! Great to see the dev room back. I really hope to get to play another Legends game. @Chaotix: Here, Here! They intend to give 100% & more to making the game, so we as part of this game making process must give the same to encourage and support them in creating a game FOR the people, BY the people! Onward, my fellow Mega Man fans! For our brothers of humanity in Japan! I LOVE YOU DEVROOM FOR DASH 3!!! LOVE YOU!!! Phew! Here's hoping it makes it to shelves! @Chaotix: Yeah, DEFINITELY!!! For Volnutt and the people hit by disasters' everlasting peace!!! Is game will get made. The producer has fire. WOW this is so sweet, yes I'm excited again, looking at the picture makes me want run in circles and do pose like Rock and say Yehey!!!!! Yeah lets celebrate the Mega Moment!!!! Yeah! Hopefully things are looking up in Japan! The banner that the Servbot is holding reads 'Ganbarou Nihon' - "Give it your best, Japan". Perseverance through adversity is what they refer to as the "Japanese spirit". These guys keep pouring their talent, desipte the departure of Inafune and the disaster in their country, into a project that technically has a chance of never being approved. They're definitely giving it their all, and they deserve our support. Go Capcom! Looks like they finally raised the money to replace their prized MacBook Pro that Greg spilled coffee on. This is great to hear. I will say I was a little worried, but I think the fans and gaming media really showed that they do care about the blue bomber. Glad to see we'll start seeing updates again! Finally! A picture with Volnutt! Made my weekend!! "Worry not about DASH 3's production. This one's going the distance."